Today, I was supposed to write about what a great success the Out of State Teacher Interview Day went yesterday. HOWEVER, the best-laid plans don’t always go the way we envision. Sometimes Mother Nature makes a change for us. The weather prediction forced us to cancel the entire event sending recruiters home from the airports and students disappointed. How does this relate to career planning? In an ideal world, plans work the way we envision i.e., I finish high school, go to college and get a job. We all know that the world is not perfect and any road travelled has twist and turns. 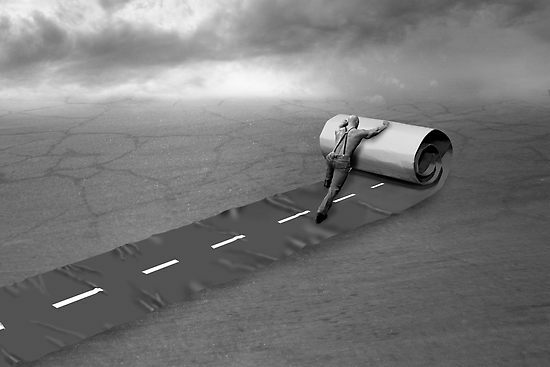 Your career path will have twist and turns and take you to places you never imagined. I once met a doctor who was from Louisiana and when I asked him “Why NY?” He stated, “After Katrina, the hospital I worked in was gone and I needed a job.” He never thought he would be a New Yorker. Just remember to keep an open mind, expect the twists and turns and hard work is never in vain.